Hummingbird Species. Listed by states and provinces. 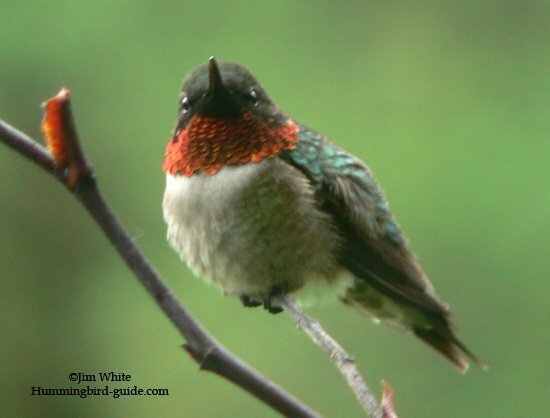 There are between 325 to 340 hummingbird species (Trochilidoe Family), making our precious jewels the 2nd largest family of birds after Flycatchers. 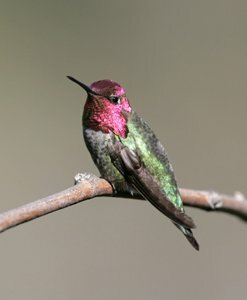 Hummingbirds reside only in the New World including North America, Central America, South America, Mexico and the Caribbean. Some observers have confused the Hummingbird Moth with a hummingbird. To learn why, read about the Hummingbird Moth. 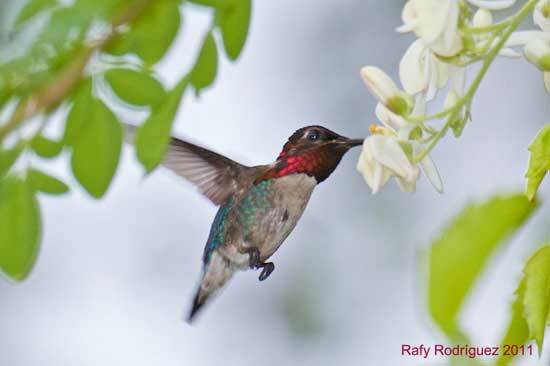 Most hummingbirds prefer the lush vegetation of tropical environments such as Equador, Columbia, Brazil, and Costa Rica. Affectionately called precious gems, these beautiful birds are loved and respected by both serious birders and the general population alike. Sadly, more than 28 species or roughly 10 percent of these incredible birds are now threatened by extinction. Bee Hummingbird of Cuba, the smallest hummingbird in the world! Here is a list of endangered species. 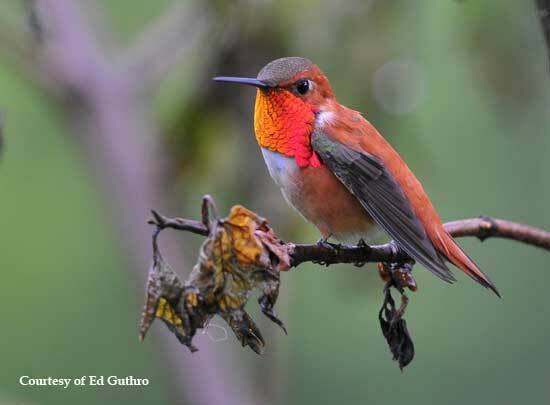 Here are a few photos of endangered hummingbirds to view. Black-chinned, Blue-throated, Broad-billed, Broad-tailed, Buff-bellied, Calliope, Cinnamon, Costa’s, Cuban Emerald, Green-breasted Mango, Green Violet-ear, Lucifer, Magnificent, Plain-capped Starthroat, Ruby-throated, Rufous, Violet-ear, White-eared, Xantus’. Note: Follow the links above to learn more about the individual species. Did you know there are numerous species that have been sighted in each state of the U.S. and each providence of Canada, both common and rare sightings? One particularly rare sighting is the Albino Hummingbird! Learn more about the Albino Hummingbird. Here we created a table of regions in the United States. To find the species that have been sighted in your state: locate your state and click on that region. Here we created a table of regions in Canada. To find the species that have been sighted in your province: locate the province that you live in and click on that region. You can guess by their names that these are beautiful birds, and frequently photographed.